With its vast, cinematic screen and ability to deliver stunning picture quality whatever the source, the 75X940D is a contender for the best TV of 2016. If you can afford to shell out $6,000 on a TV, make it this one. Much as I love high dynamic range (HDR) technology in principle, it isn't half catching TVs out this year. The extreme amounts of brightness HDR demands are really bringing home the problems LCD screens have with delivering light on a truly 'local' basis, with problems such as light stripes, blocks and halos distracting you from the otherwise spellbinding HDR action. Cue one of two reasons why I'm excited about the arrival on our test benches of the Sony XBR-75X940D. The thing is, this 75-inch TV replaces the edge-mounted LED lighting sported by all the other HDR-capable TVs I've seen so far this year with a direct LED system, with the lights sitting right behind the screen. This sort of LED configuration, in conjunction with a local dimming system that can output different light levels simultaneously from different parts of the screen, has consistently delivered superior contrast in recent years, so hopefully it will do a better job of meeting the considerable challenges posed by HDR. The other reason I'm excited to be testing the 75X940D is that its predecessor, the KD-75X9405C, was arguably my favorite all-round TV of 2015, so there's a good chance that the new model will pick up the quality baton. Having said that, the 75X940D cuts a dramatically different figure to last year's model. Sony has decided to scrap the monstrously powerful magnetic fluid speaker array that added so much width and depth to the 75X9405C's bodywork, opting instead for a screen frame that's barely a centimeter across, and a rear that's impressively trim for a TV that's using direct LED lighting. Having loved the exceptional audio quality the 75X9405C delivers I personally mourn the passing of Sony's magnetic fluid speakers, although for most people I have no doubt the 75X940D's much trimmer appearance will make it an easier-to-accommodate monster TV than its predecessor; it's also likely that a TV as big and expensive as the 75X940D is going to be partnered with an external speaker system of some sort. The 75X940D's connections tick the boxes I'd expect of a flagship TV. Most notably it has four 4K/HDR-capable HDMIs, three USBs for playing a wide range of multimedia file types from USB storage devices, and both wired and wireless network options. The network options can be used for streaming multimedia from networked DLNA-enabled devices, or for accessing Sony's online smart TV services. Most of these services are delivered via Google's latest Android TV system – which isn't a wholly good thing, for reasons discussed in the Usability section. But at least Android TV does now carry the 4K and HDR-capable Netflix and Amazon apps, alongside YouTube, Hulu, HBO Now, Google Play Movies and TV and Sony's own PlayStation Now on-demand game streaming service. I've already mentioned the two main highlights of the 75X940D's picture technology: its HDR readiness, and its direct LED lighting engine. But it has plenty more flagship tricks up its sleeve too, including a native 4K resolution, Sony's Triluminos technology for delivering an expanded and more accurately rendered color range, and a so-called X-Tended Dynamic Range Pro system that can divert power from dark parts of the image where it's not needed to bright areas, to give the image more punch and the sort of expanded dynamic range HDR is all about. The 75X940D's various picture technologies are all marshaled, moreover, by the latest version of Sony's 4K-friendly X1 video processing chipset, which has previously put on a strong showing, particularly when it comes to color and upscaling HD to 4K. 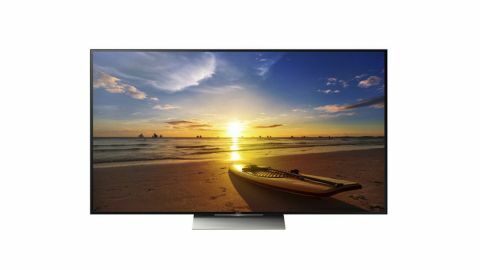 The 75X940D is also noticeable for supporting 3D playback (a feature that's vanished from all of Samsung's and Philips' TVs for 2016), while one last slightly complex point worth covering is that while Sony has, for what it claims are internal marketing reasons, decided not to seek the Ultra HD Premium badge of quality assurance from the AV industry's Ultra HD Alliance group, the 75X940D does apparently meet all the relevant contrast, color and brightness criteria.